Another winner from Dianne Harman! Marty, an antique appraiser, is asked to appraise the glass art collection of Pia. After a whirl win romance of only a very short time--Jack asked her to marry him. Jack was a very successful man in his own right. Pia, on the other hand had nothing that she knew of-she worked as a salesperson. Other then that Jack knew nothing of her background. It turned out that the glass art collection was worth a small fortune--and as we all know--fortunes can cause lots of trouble! But who wanted Pia dead and for what reason? On a lighter note Martys dog who insisted on wearing his pink booties before setting paws in the desert was cured of this particular habit? Now who in the world could convince that dog to walk without those booties? You will just have to read this book to find out!! AND get ready for some marvelous recipes at the end of the book. From seven time Amazon All-Star Author comes another page-turning murder mystery. I love a good mystery! The thought of a dog that refused to do something without wearing pink booties is pretty funny! I can't wait for the holidays so that I can read your recommended books. Dianne Harman sounds like an author that I could like lot. Thank you for another good review! 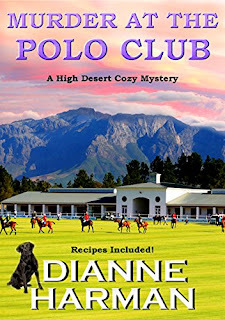 I love a good murder mystery so this book Murder at the Polo Club is the book I would read. Her Cedar Bay Cozy Mystery Series is the series I think that I would enjoy the most. I love cozy mysteries! I think I would enjoy the Midwest Cozy Mystery Series. I am quite happy with them all. I love cozy mysteries. I've said it before and I'll say it again: these books with recipes included are THE BOMB! I have to choose? I really like the Cedar Bay Cozy Mystery Series, but each series is fun, unique, and provides a great reading adventure. I am a big Dianne Harman fan...no matter what series. I love all her books but Cedar Bay Cozy Mystery Series is my favorite. I would love to read the High Desert Mystery Series. This book sounds like the perfect cozy. I am so intrigued by the dog with the pink booties! That's such an interesting plotline. Thank you all and especially Michele. The bootie came about because I was visiting my son in Seattle. He'd just had his deck redone and his big Lab refused to go on it unless he had booties on. My 6'2" son was mortified! This one sounds great! You always have such good book suggestions. :) I can go for a good mystery over the holidays and tossing in a dog with pink booties can only make it better! I think I would enjoy reading Trouble at the Kennel the most! Tons of books in her Cedar Bay Cozy Mystery Series. Mystery is my favorite genre. I'd like to read "Murder in Cuba". Dianne has so many wonderful books out there..cozies are my favorite reads..thanks for this chance..
Oh my! 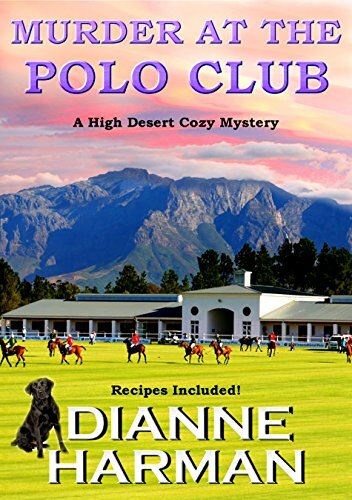 Murder at the Polo Club sounds like a book I would love. Thanks for sharing another awesome book! All of the series sound great! Thank you for the info and the chance to win! High Desert Cozy Mysteries Series would be my guess of which series I would like best although, I will probably start with this book first, you have me guessing. I'd like to read Murdered By Words because words can really hurt. I think I would like Murder at the Cooking School, I like murder mystery and cooking, and the two things together sounds interesting. Her Cedar Bay cozy mystery series.Actually I think I'm going to like all of them. The High Desert Cozy Mystery Series sounds like it would keep me reading for weeks! They all sound amazing and very interesting reads but I'd have to go with that one first! I sincerely hope you all enjoy each one that interests you and I'm always open to ideas for new ones or places you'd like to see written about! Murder on the East Coast and also another one that catches my eye right away is Murder at the Bed and Breakfast, I do hope to enjoy reading your books. The setting takes place at one of my vacation spots with the family! I don't know if I'd be able to read this and then go back to vacation there, haha! I wish I could send one to all of you! Thank you so much. Even though the basic premise is the unfolding of a murder at a Polo club, my eyes were immediately drawn to the pink booties wearing dog. Ha! Sorry I did a incorrect copy and paste. But I still would love the entry. Would love to try the Coyote Series. Great giveaway and good luck to everyone! Ohhhhh that is a truly impossible question to answer - which series will I like best? ALL of them!! I'd like to try the cedar bay cozy mystery series. I would like to read Murder at the Cooking School. I think I would like Kelly's Koffee Shop the best. Murder at the Cooking School. I like that it is set in Tuscany and that it would probably involve Italian food which is my favorite food! I think that I would most like to read the Liz Lucas Cozy Mystery Series. I would probably like the Trouble at the Kennel series the best! 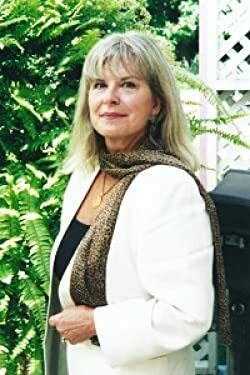 I love cozy mysteries, I didn't even know I did until I stumbled across Cleo Coyle one day, then finding Dianne Harman's book was like a gift! I absolutely love the Cedar Bay Cozy Mystery Series but also love The Liz Lucas series. Aw heck I like them all. I really would like to read the Liz Lucas Cozy Mystery Series! I'd love to read the Coyote Series. Cedar Bay Cozy Mystery Series sounds really good. For starters, I'd love to read The Blue Butterfly and Murder At The Bed & Breakfast. I have to choose, I would enjoy reading all of them. I love reading cozy mysteries. I think I will start with the Cedar Bay cozy mystery series.